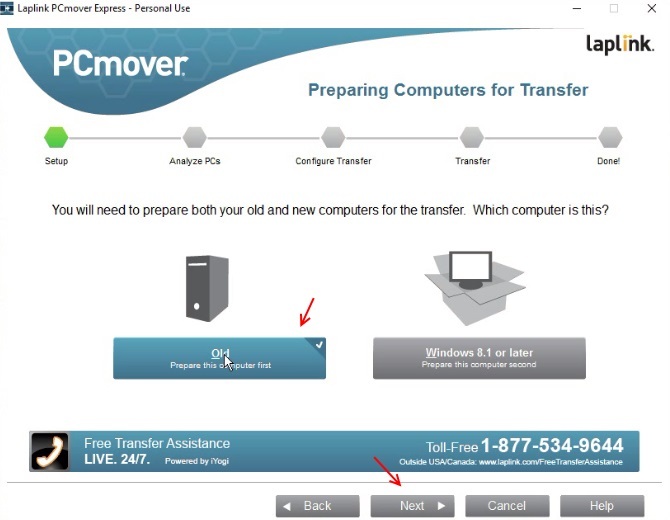 PCmover express is free utility to let you transfer files / software and settings from your old PC to new one easily. Thankfully, it support windows 10. For using this tool, you have to just download and install this on both your Old and new PC. 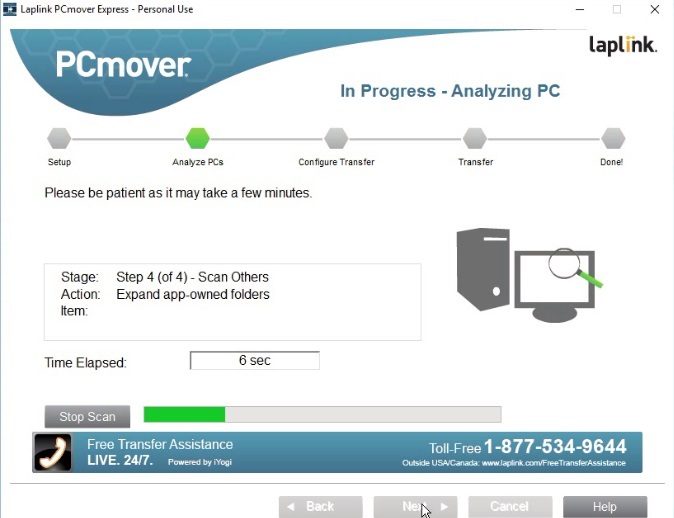 Now, you have to run this tool in any of the PC and let it scan and connect to the other PC. Both the computer should be connected over LAN over wifi or wired network. Step 1: – First of all Download it from here. Step 2 : – Install it on both your PCs, Both old and new one. 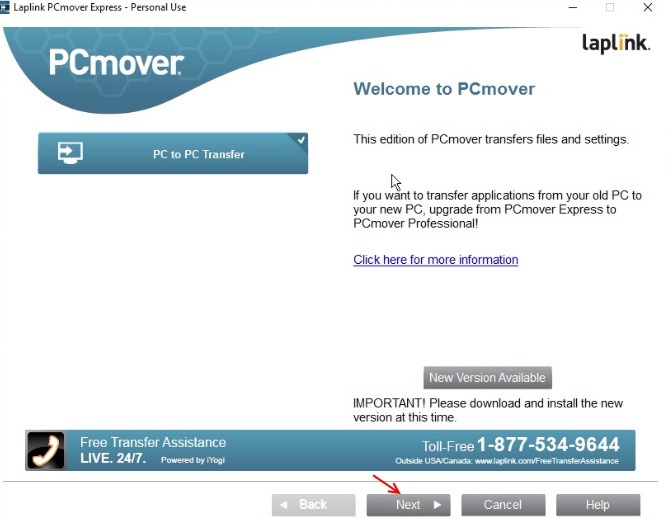 Step 3: – Now, open PCMover express on old PCs and follow next steps. Make sure a working wifi connection or wired connection is in place in both systems. Step 4: – Now, choose Next on every screen till you reach the final screen. Step 5: – Since its an old PC, select old PC and click on next. 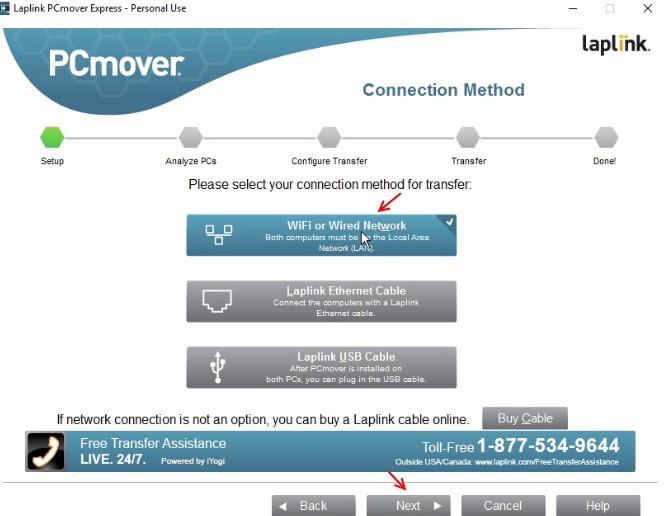 Step 6: – Now, select wifi or wired network as transfer option as shown. 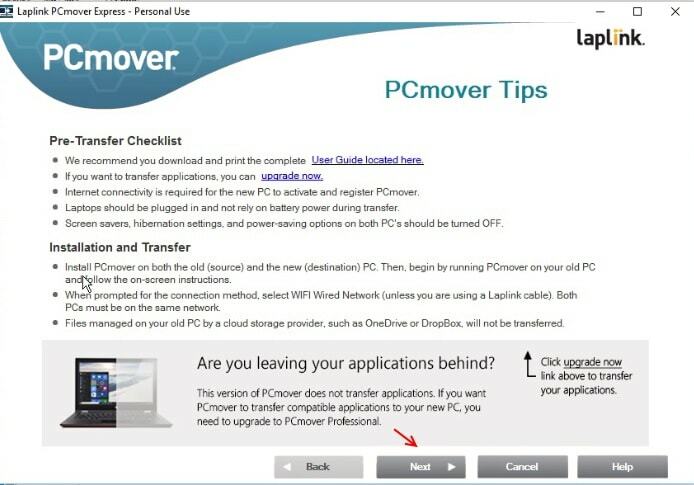 Step 7: – Please wait while the PCmover express scans the new PC. Finally start the transfer process to transfer file.